The main purpose of your kitchen backsplash is to deflect water from the wall behind your counters but they also play a part in the look of your kitchen. Some backsplashes are made to blend in while others are meant to draw all the attentions to them. Unless your cooktop is located on an island, the range or cooktop is usually the focal point of your backsplash. 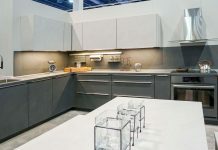 It is important to find the right backsplash that will work for your kitchen needs and that you will enjoy seeing and showing off for the life of your kitchen. Here is a short list of some of the great options you could try for the backsplash behind your range and the rest of your kitchen. Sometimes less is more. A lot of designers and artists agree that it is important to have a focal point in your kitchen. Naturally you want your whole kitchen to be striking and beautiful but too many focal points can give your kitchen a busy look and feel. For example: Let’s say your kitchen had dark granite countertops, colorful tiled floors that grab your attention, and an island with a light colored granite to make it stand out from the surrounding countertops. You probably don’t want a bright mosaic of intricate tiles to draw attention to your backsplash. A lot of people choose to use the same stone or tile that they are using for the countertop as a backsplash. This more subtle approach is very common especially when you have stone countertops. Tile Shapes, Designs, Mosaic etc. Probably one of the easiest ways to add color and life to your kitchen would be to use a tiled back splash. Ceramic tiles are very popular but porcelain, marble, travertine, and glass can all be used to make your backsplash. Some designers will make colorful mosaic backsplashes with a variety of tiles. By using all glass tiles or by peppering them into a mosaic you can experiment with how under cabinet lighting will reflect off of your backsplash. In some kitchens a frame is used to highlight an area of the backsplash like the range. 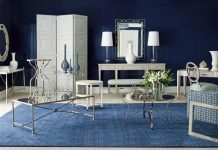 Usually, this involves picking a different tile to work as a border for the frame and a third tile to fill the frame. If you like the idea of a tile backsplash but don’t want a frame or a busy mosaic you can use uniformed tiles for a clean and simple look. If you chose this sort of backsplash, you can still create an attractive accent spot for you range or cooktop by using different tile shapes and textures while still maintaining a uniform look. If you liked the idea of a little accent square behind your range, you should think about going further and making an accent wall. This is the same concept of accenting the cooking area with contrasting shapes, colors, or materials but with an accent wall you would continue your full backsplash up the wall all the way to the ceiling. This bold option can be very striking when you have a chimney hood rather than cabinets above your range. We’re talking “natural stone” here, not the kind you use for the countertop. Instead of tile or polished stone you can give you kitchen an earthy rustic feel by using natural stone for the backsplash. Contrary to what you see in the picture, when you see this kind of backsplash it is often used as the accent piece rather than the perimeter backsplash. Stainless steel and other metals are also used to make backsplashes. Some people feel that too much stainless steel will give your kitchen an industrial or sterile feel. I think that a good balance of warm earthy tones and cold clean textures can give your kitchen an impressive look. Stainless steel appliances, hood, and backsplash contrast well with traditional wood cabinets. Your backsplash can also be made with real or faux brick. This will give a pleasant old-world feel to your kitchen. Brick has a lot of character. In my mother’s kitchen, growing up, we had a cooktop built into a nook on a large brick wall that ran the length of the kitchen. So the backsplash was made of the same brick as the walls around it. It is probably worth mentioning that the fireproof nature of the brick walls and backsplash played a big part in keeping our house from burning to the ground when we had an oil fire. In some kitchens you will see wood used as the material for the backsplash. Reclaimed wood, hard wood, and fancy wood with intricate burled grains can all be used depending on the look you are going for. The wood backsplash in this picture creates a wonderful contrast to the rest of the very modern kitchen. A mirrored backsplash can make a very small and tight kitchen feel bigger. This is more effective if the mirror is also covering all or part of a wall and not just your perimeter backsplash. I feel like this much mirror space would require a lot of Windex to keep clean. In an article about galley kitchens, I wrote about the idea of using the blank wall space as a chalk board. This gives you the ability to use the wall to write reminder notes or grocery lists. Like in this picture, the chalk board idea can also be used with your kitchen backsplash. I love the idea of a chalk board being used as a backsplash, but I would not use this material behind the range or cooktop. When remodeling your kitchen, the decisions you make about your backsplash will probably not be your highest priority but they are important. In a lot of ways, your backsplash will tie your kitchen together. 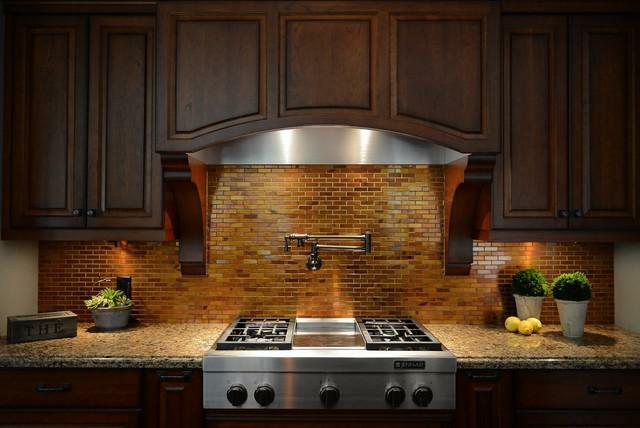 Find a Backsplash that looks great in your kitchen and works for your needs. You may have noticed a similar feature in about half of the pictures. If you like cooking and you are planning on remodeling your backsplash, you might want to think about paying a contractor to add a pot filler to your backsplash. These simple fixtures are so nice if you boil big pots of water for any reason. Having never seen one in a modest sized home, I have always thought of pot fillers as a sign of wealth. Previous articleShower Doors or Shower Curtain, You Decide.